A unified inbox, a daily planner, an address book, and much more. An insight into what's in store for you. Email, Calendar, Contacts, Files, Reminders in One App. 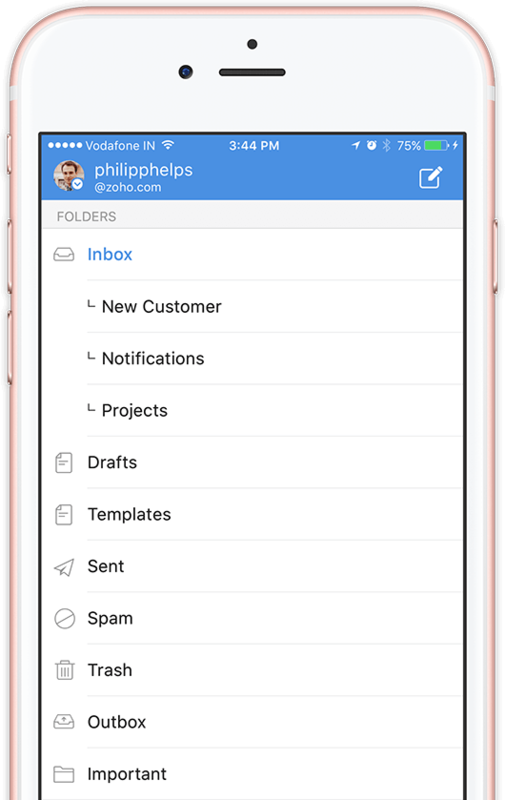 The Zoho Mail mobile app goes beyond being another email app. It includes calendar, contacts and files modules - a complete app suite - making it the suite-est mobile email app out there. This suite-ness combined with subtle yet powerful mobile optimized features such as quick swipe actions, empowers users to do more while on the move. 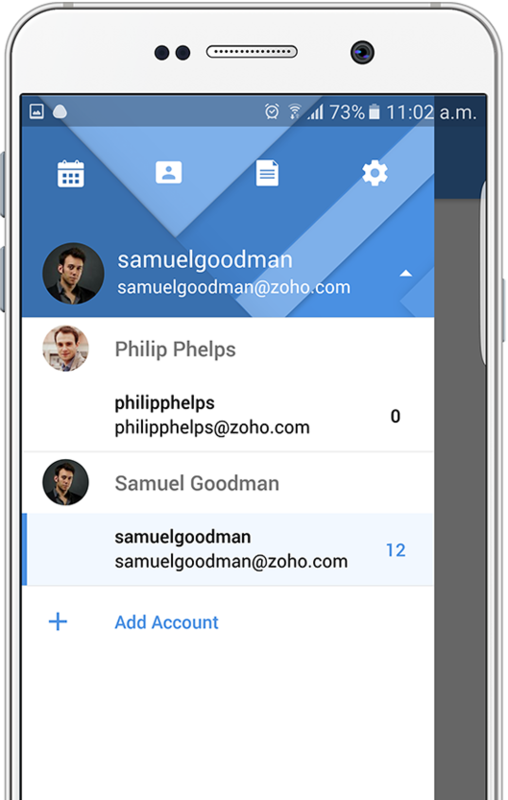 Zoho Mail makes accessing email on your mobile a breeze. 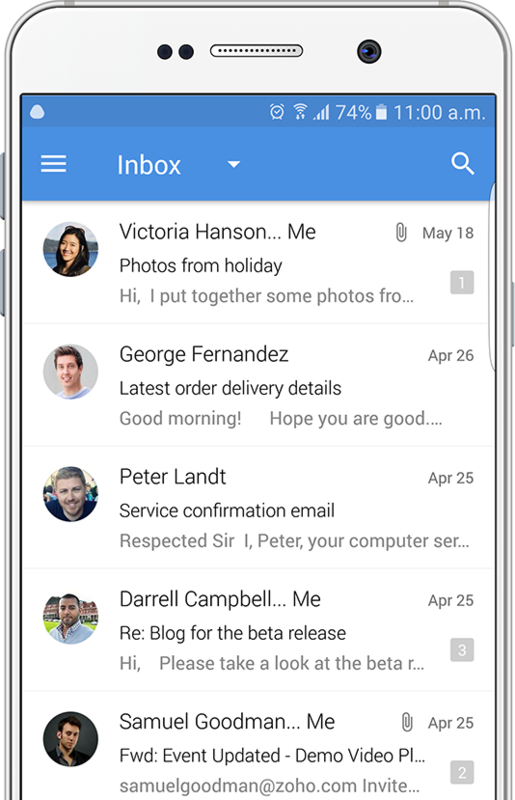 The inbox is designed to be light, fast and mobile friendly. Swipe left across messages to quickly delete, move or archive them. 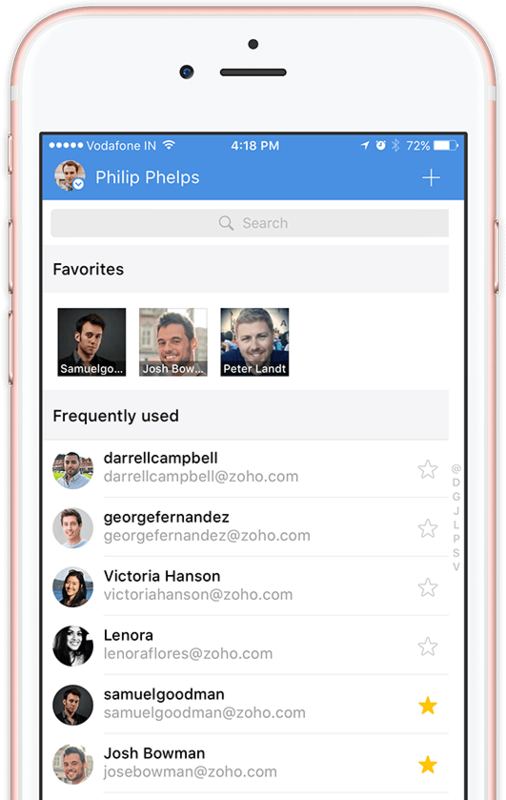 Zoho Mail mobile puts email management at your fingertips. When people reply to an email, Zoho Mail groups responses together in a single conversation, with the newest email on top. This is Conversation View. A conversation breaks off into a separate thread if the subject line changes. By grouping responses together, Conversation view also keeps your inbox tidy. This way your emails are organized and give you all the context you need to reply to those long email threads. However, if Conversation view is not your cup of tea, you can turn it off from Settings inside the app. 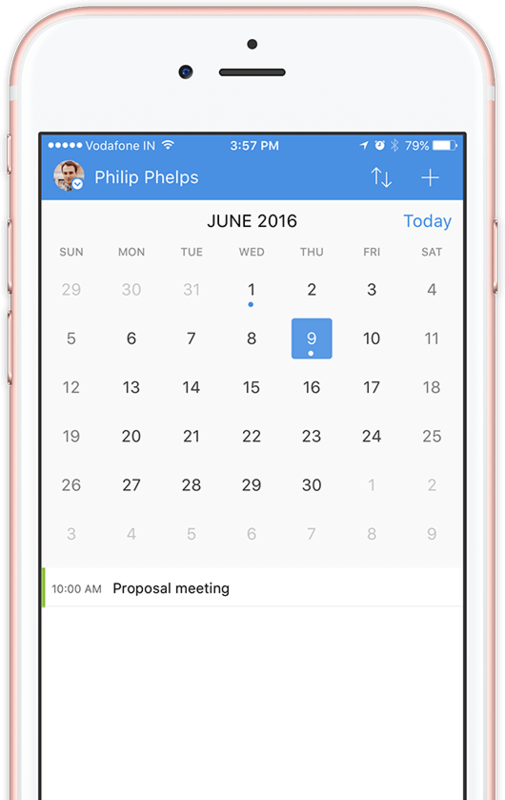 Organize your day better with the integrated Calendar. Schedule appointments, view/edit event details along with neat map overlays and get reminders for upcoming appointments; without leaving your email app. These days, many of us have multiple email accounts, one for work, one for your blog, one for a group you may lead, and so on. With Zoho Mail, managing your mail for all your Zoho accounts becomes easier, thanks to one unified inbox. Zoho Mail lets you access multiple Zoho accounts without ever switching between apps, or even accounts. The unified inbox lets you view emails from all your accounts in one view, with push notifications for each account. 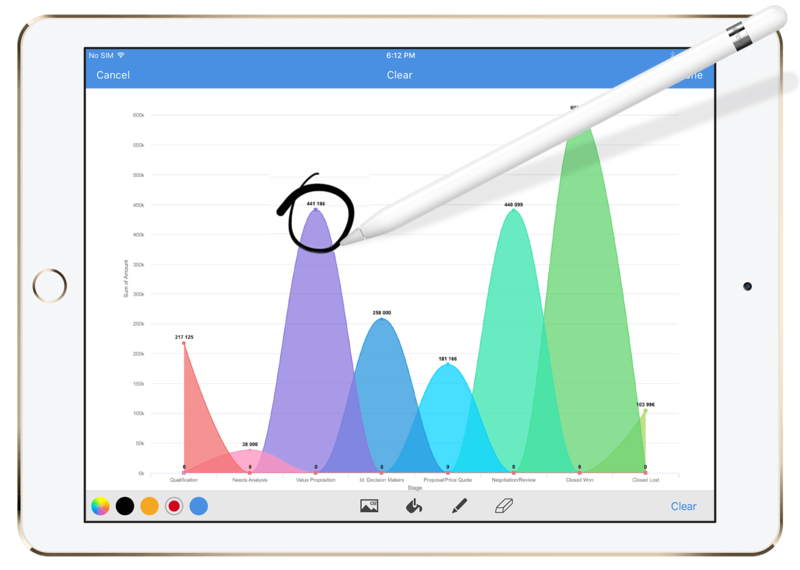 With the Apple Pencil, Zoho Mail gets more creative. Using the Scribble feature, send a personal hand-written message in your next email. Or, something creative. You can also add more dimensions to your work by marking up images. 3D touch on Zoho Mail let's you quickly Peek at an email without actually opening it. Gently press down on an email to bring it to the forefront to preview it. Or, from the app icon, use 3D touch to pop up some Quick Actions - Compose an email, Add an event or contact, and Search your emails. The attachment viewer works similarly to your phone's photo gallery. 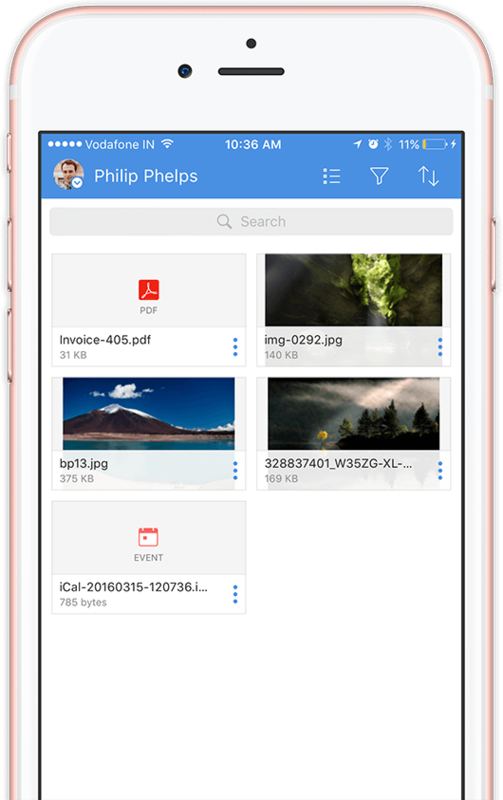 Now your attachments will appear as thumbnails, making it easier to scroll through and find the attachment you are looking for. 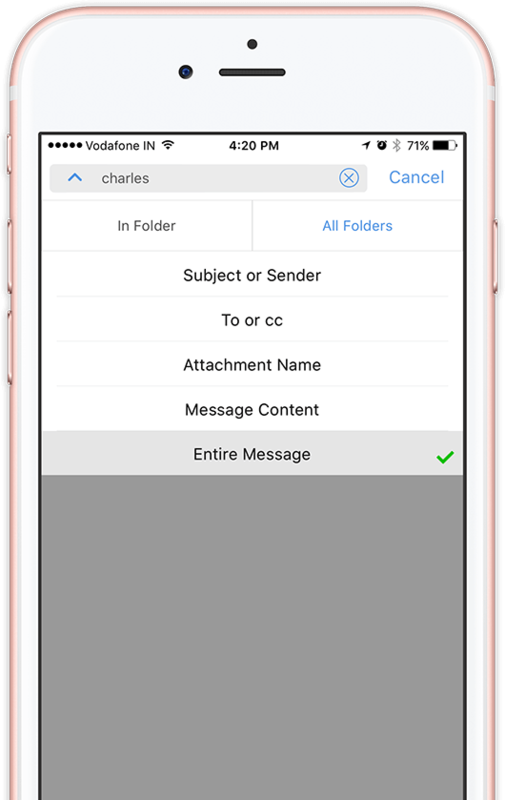 From the attachment viewer, you can open up the original email, or compose a new email with the attachment. Filter emails and file attachments from specific contacts at the tap of your finger. Initiate calls from within the email app. Tap select your favorite contacts while composing new messages instead of typing their email addresses. Looking for that evasive email message and only remember bits of the information vaguely? Feed anything you remember into the criteria based search fields and find information fast. Occasionally we tend to miss the notification we receive on our phone. 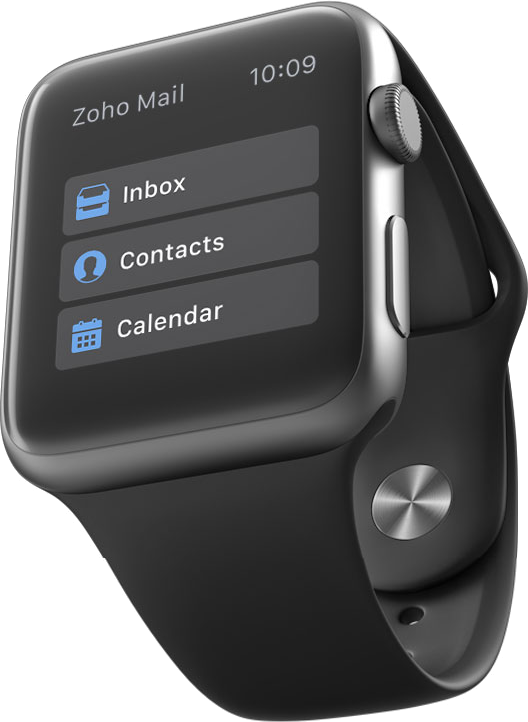 With Apple Watch support, Zoho Mail notifications come right to your wrist, so you never miss them. When a new mail arrives, you can quickly see the sender and the subject, and then click to read a snippet of the mail. Additionally, you can reply to the mail from Watch, using voice commands or by typing. Find it easier to type in the landscape view? No problem. 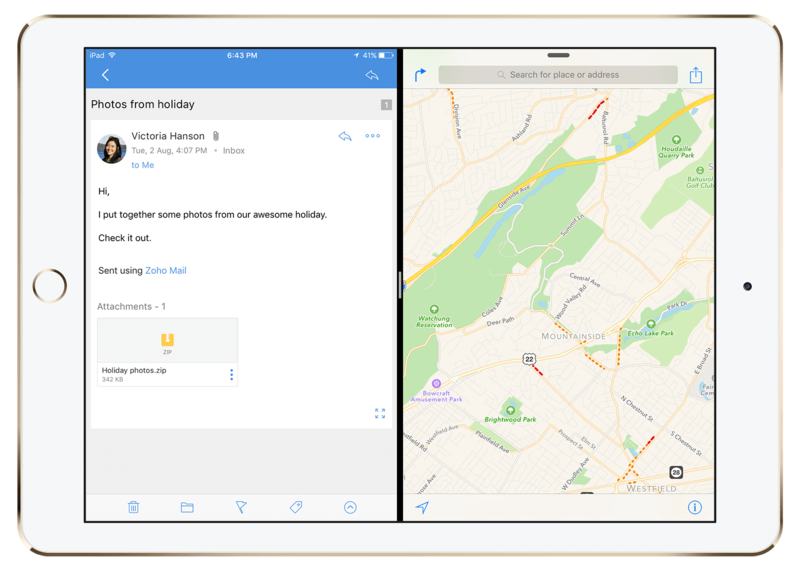 Zoho Mail supports landscape view for iPhone, iPad and other Android tablets. The increased screen space and split screen view will make reading your email easier, and help with multitasking.